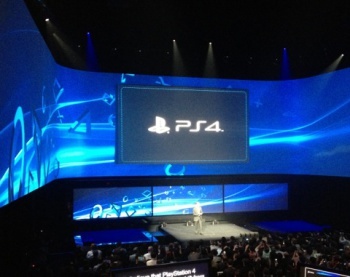 Sony is keeping its new console under lock and key, perhaps for E3. At tonight's PlayStation 2013 event in New York City we saw a few games, several tech demos, and plenty of developers singing the praises of Sony's new PlayStation 4 console. The only thing we didn't see was the console itself. Sony decided to show off the controller and light bar accessory for its new machine, but has kept the box itself under wraps. There are plenty of reasons for this, of course, not least of which being that the company wants to save some big reveals for its E3 keynote, which is always a hotly-anticipated look at upcoming games and hardware. However, the decision to show off everything about the PlayStation 4 except for the hardware itself is a bit frustrating. Looks like we'll have to wait a few more months before we lay our eyes on Sony's new darling. Unti then, let's all just dream about a future where The Last Guardian gets a release date and we all live happily ever after.